For Lagos State of Nigeria, development in recent history has been aggressive and remarkable, but the issues of its growing metropolis have also grown with time. One of such issues is that of Sanitation Solution and Waste Management. Lagos State is home to a population of over 20million people and is still growing. The United Nations in its World Urbanization Prospects Report projects the population will grow to 24.2 million by 2030, making Lagos State the ninth biggest city in the World. With the teeming population, Lagos has had several environmental challenges all connected to waste management. Over the years, with successive administrations, the State has attempted several reforms to combat these challenges but unfortunately they have not been effective. In 2017, the Administration of Governor Ambode appointed an international firm, the Vision Scape Group, and its consortium of local partners on a concession agreement for a Design, Finance, Build, Operate and Transfer (DFBOT) of a comprehensive environmental solution, including sanitation and waste management, programme for the State. The project would be capital intensive – requiring about N85billion (US$280million). Vision Scape turned to Eczellon for a creative structuring of fund raising programme and efficient placement of debt securities to raise the required capital. Options available for raising capital, would include creation of a debt instrument with features that were going to be novel and previously unseen in the investing community. This was going to pose a challenge to the arrangers. Eczellon combined expertise on structuring debt capital market issues, with proactive engagement and market sounding of local institutional investors to develop a unique “Project Bond” that was attractive to investors, with its high returns and low risk profile. The instrument was crafted with attention to the requirements of the investing community, including Pension Fund Administrators (PFAs) – a highly regulated community of investors – and it was well accepted. The transaction structure was adjudged by industry stakeholders as the most innovative in the market to date. 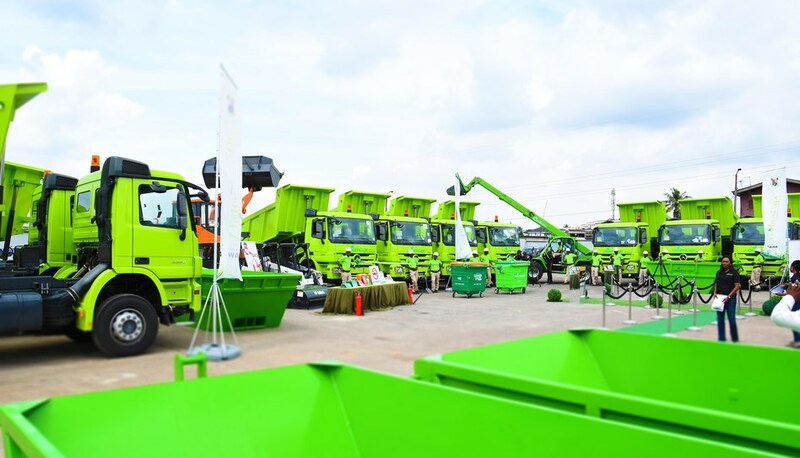 Eczellon successfully raised N28billion (US$92million) for Vision Scape in the First Series of its N50billion Medium Term Note / Project Bond programme, enabling the company to implement a robust environmental solution, sanitation and waste management for Lagos State, including the deployment of engineered landfill sites, fleets of waste compactors, special pick up vehicles for effective waste collection. The successful capital raise was not only beneficial to the client, but resulted in massive social impact including improvement of the environment, opportunity for further economic development through eco-friendly waste management and waste to energy initiatives. In addition, the new development would bring about the creation of over 25,000 new jobs.